Dr Henry Cheng completed his basic medical degree at the University of Malaya in 1982, received his specialist training in Singapore and obtained his post-graduate degree in the United Kingdom. He underwent further training in Fetal Medicine with the world renowned Foetal Medicine Foundation Founder, Professor Kypros Nicolaides at the Harris Birthright Research Centre in Kings College Hospital in London. The research data used and analysed during Dr Cheng’s work with Professir Nicolaides would eventually lay the foundation for the present OSCAR test used internationally for the screening of first trimester pregnancies for Down’s syndrome. Following that, Dr Cheng completed further research at University College London and the University of Nottingham which was published extensively. 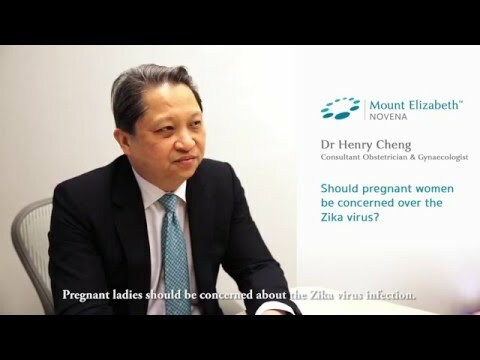 Prior to starting his private practice, Dr Cheng was a senior consultant at Singapore General Hospital’s department of Obstetrics & Gynaecology, where he was head of the Foetal Medicine Division. Besides providing prenatal diagnostic services, Dr Cheng has also developed software for ultrasound scanning and other obstetrics and labour ward services. He was also involved in the teaching and training of medical students, specialists-in-training, and other specialists. In addition to that, Dr Cheng is actively involved in educating members of the public through forums and public talks. Apart from his usual work commitments, Dr Cheng also has special interest in computer software and electronic medical equipment. He is the medical advisor for various medical software and electronic companies, some of which have produced medical equipment which is widely in Singapore and other countries for monitoring the well-being of adults and babies using wireless RFID technology.